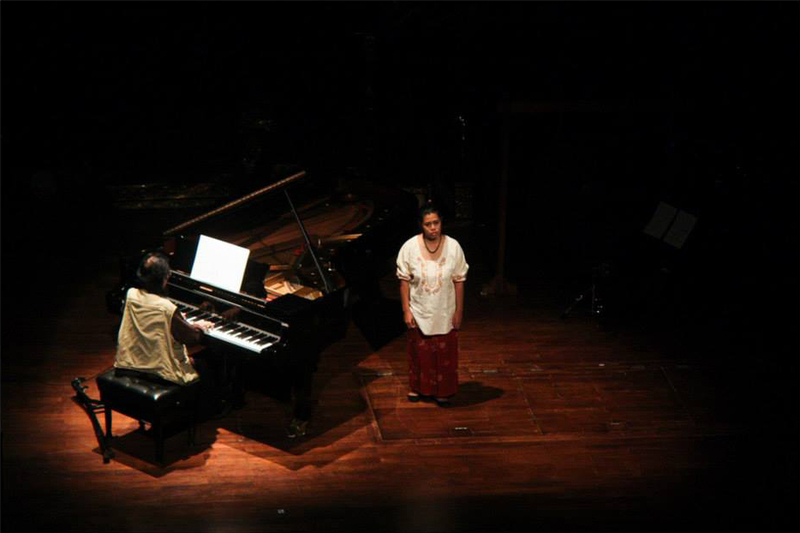 Sluman Slumun Slamet, concert of Slamet Abdul Sjukur works organized by Pertemuan Musik Jakarta (PMJ) and Dewan Kesenian Jakarta (DKJ) on 27 September 2014 at Teater Kecil, Taman Ismail Marzuki, Jakarta. Photographer: Thomas Y. Anggoro. Click to enlarge. 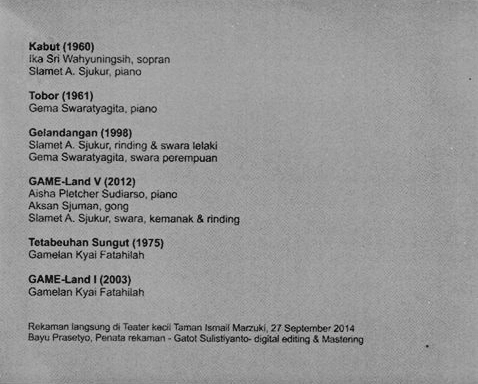 Slamet A. Sjukur (Born in 1935 in Surabaya), is the founding father of contemporary Indonesian music. 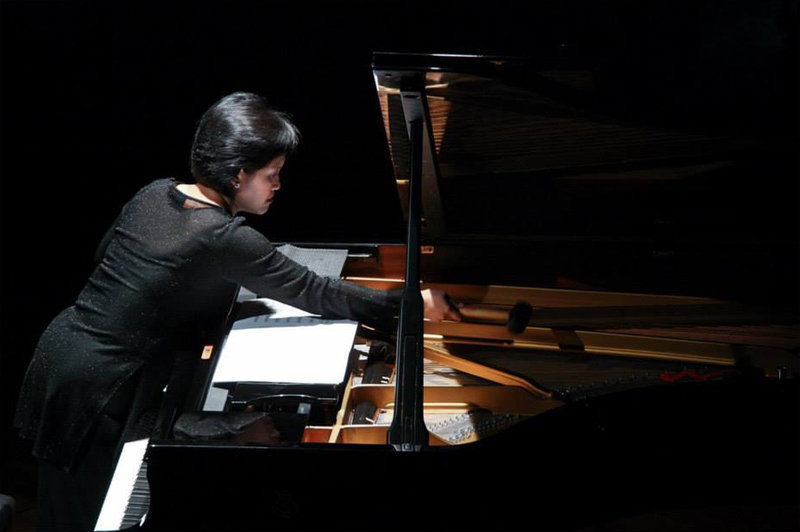 He studied and worked in Paris under Olivier Messiaen and Henri Dutilleux. 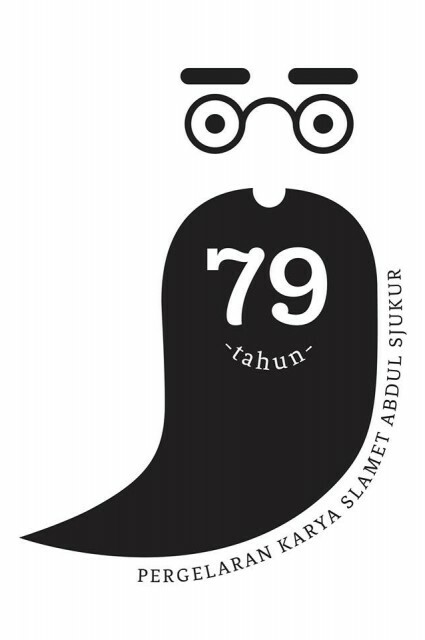 He was a lecturer at IKJ (Institut Kesenian Jakarta) but because of his unconventional ideas, he finally had to leave. 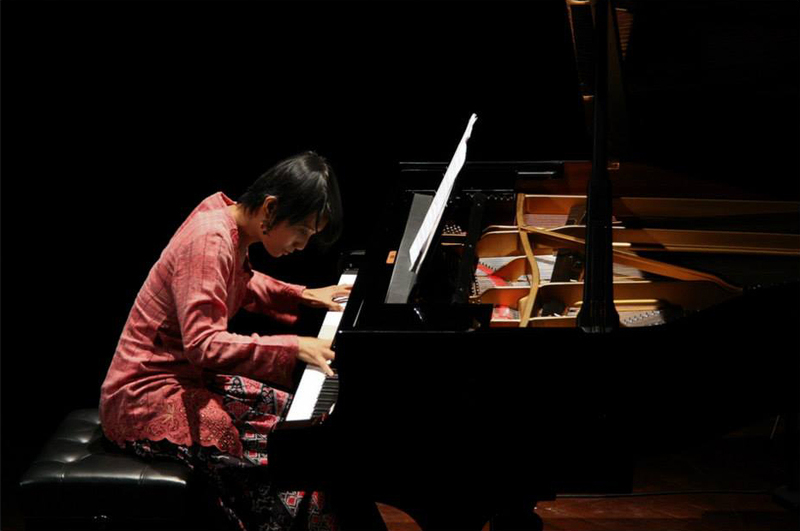 He has been living in Jakarta and Surabaya as a freelance composer, teacher and music critic. 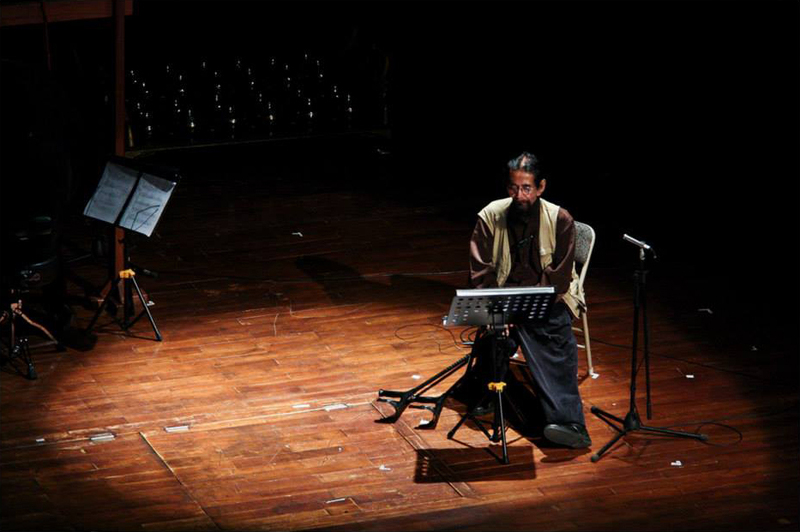 Developing the idea of minimax in music, his compositions are “notable for their minimal constellation of sounds and for their numerological basis which indicate the composer’s interest in a new ‘ecology of music’”. This idea views limitation not as obstructions but as a challenge to work with a simple material, maximally. 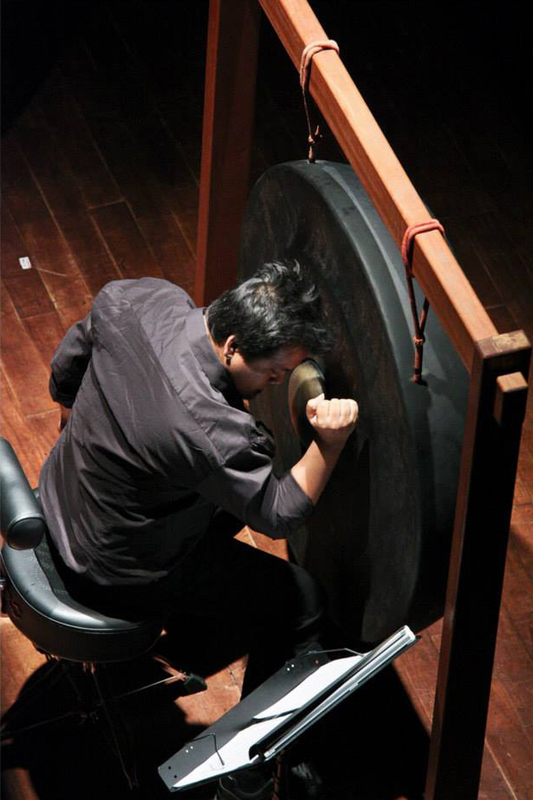 His honors include the Bronze Medal from the Festival de Jeux d’Automne in Dijon (1974), the Golden Record from the Académie Charles Cros in France (1975, for Angklung) and the Zoltán Kodály Commemorative Medal in Hungary (1983). 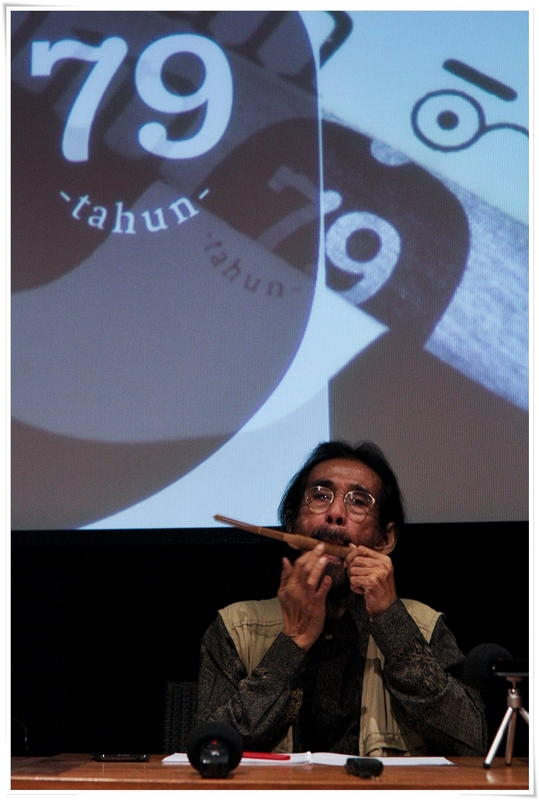 More recently, Gatra named him a Pioneer of Alternative Music (1996) and he was made an Officier de l’Ordre des Arts et des Lettres (2000) and a life member of the Akademi Jakarta (2002). 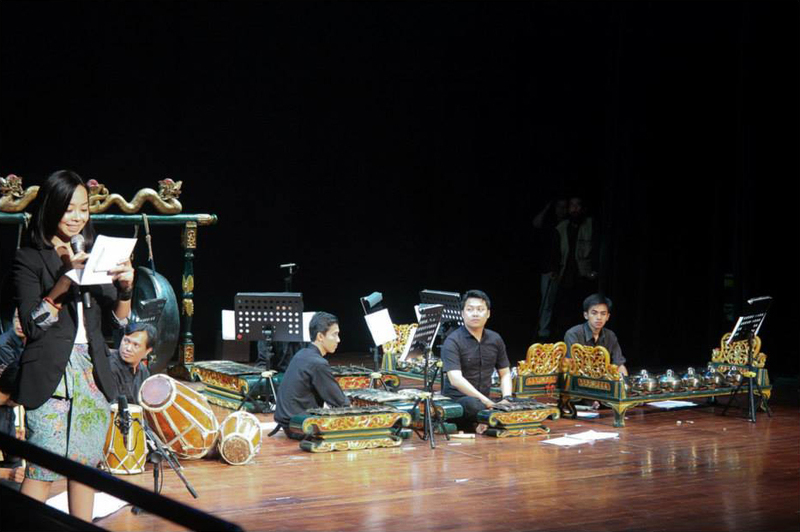 Some of his prominent students include Gilang Ramadhan and Soe Tjen Marching. 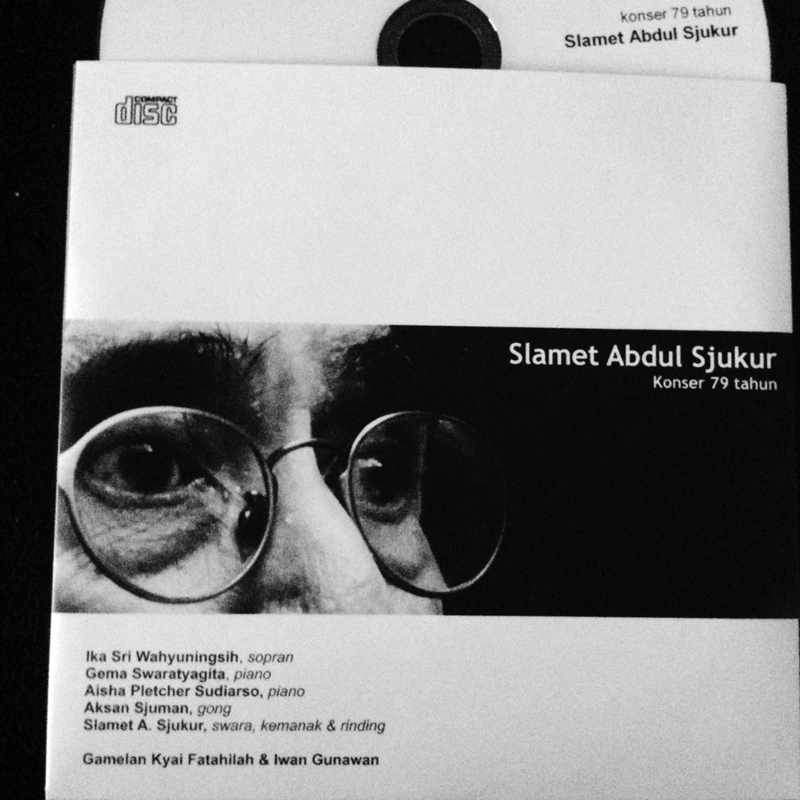 You are currently reading Concert CD: Slamet Abdul Sjukur 79 Years: ‘Sluman Slumun Slamet’ at IvyU.